An evening of inspiration through live performances. 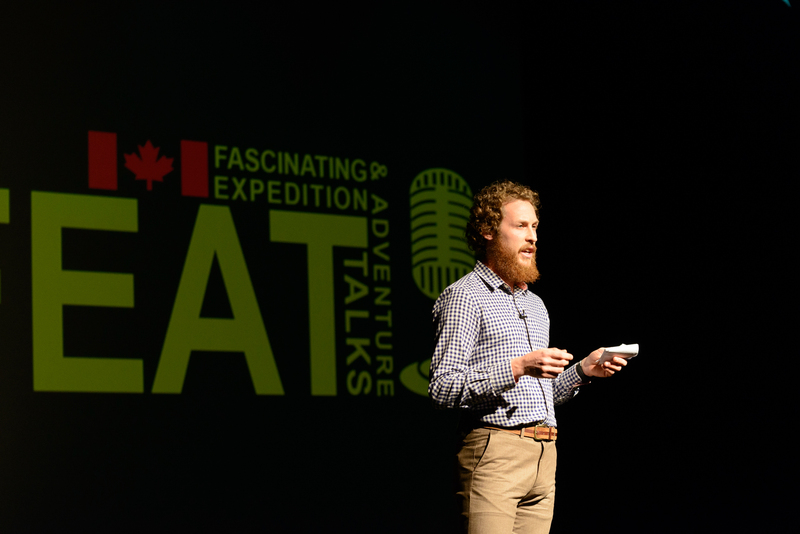 FEAT Canada 2016 made another appearance at the Centennial Theatre in North Vancouver hoping to create a sense of adventure and will for its audience. 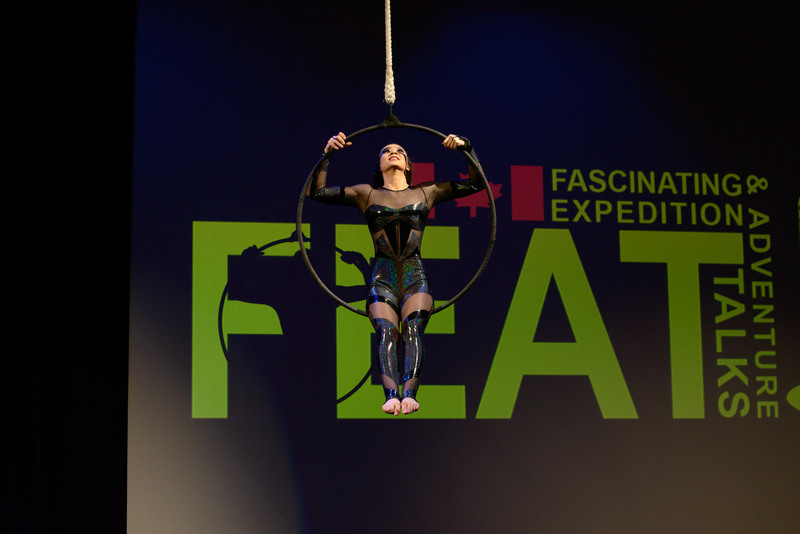 The Vancouver Circus School began the night with an Aerial Hoop performance that demonstrated both grace and strength. The first half of the show would feature: Adam Kreek, Wendy Swinton, Nick Elson, and Meyrick Jones. Following intermission, the show would end with: Ashley Wiles, Ian MacNairn, Bob Faulkner, Julie Ann Chapman, and Chris Christie. With an outstanding 13-year rowing career, there’s no doubt that Adam Kreek is comfortable on the water. After a gold medal performance at the Olympics, there was no reason to stop and no reason for the passion of adventure to end. Things shifted from competing against the best in the world to seeking thrills around the world. 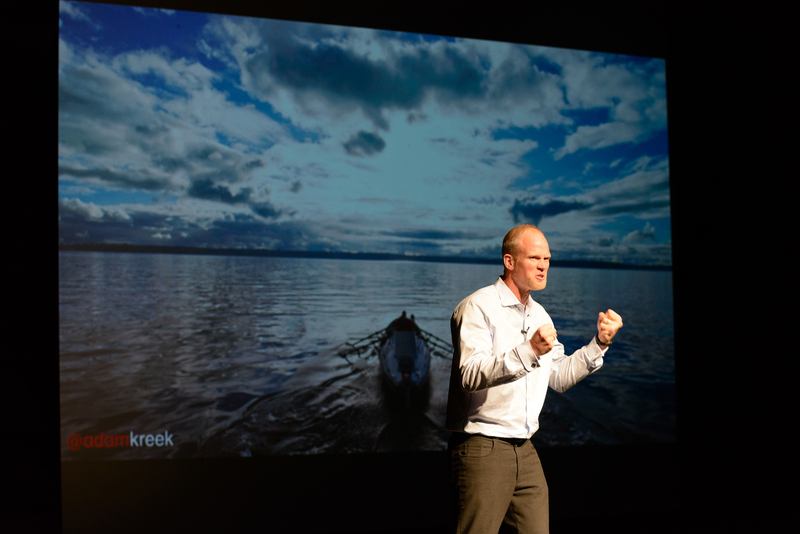 From daily outings with friends and families around Vancouver to trying to row unsupported across the Atlantic Ocean from Dakar, Senegal to America, Adam explains how no feat is too big or too small when the body is fit and ready for adventure. He emphasizes that being “fit enough” can lead to amazing things and can create opportunities. Being “fit enough” can create an amazing drive that will take you on a fun new outing with friends and family or take you to the place you’ve always dreamed of. One doesn’t need to be an Olympian to swallow the “taste adventure soup” (tastes delicious on a 60 day boat ride but not back on land) or to go on a weekend row, but one does need to put their bodies to the test and push their abilities. Challenge yourself to be fit enough to catch a wave, a goal, an adventure! Birthdays can bring many surprises. 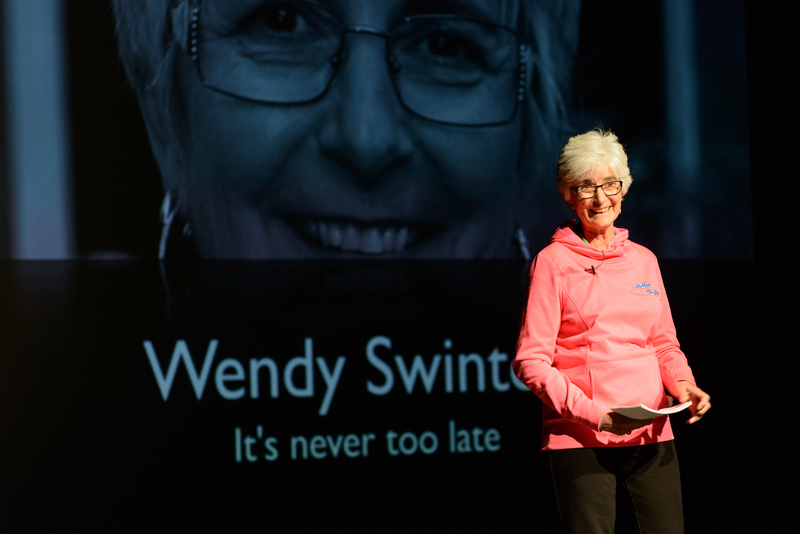 For Wendy, turning 60 brought with it some life changing goals and achievements. Evaluating where she was and where she wanted to be, Wendy took her health and life into her own hands and started taking action. Literally, she started to get her body in motion and run her way to a better Wendy. She celebrated every training day, challenge, and finish line and never stopped to motivate herself. She identified some of the challenges early on in her goal setting and found ways to overcome them. For instance, having a sweet tooth and working in a candy shop didn’t stand in her way. She restricted her candy consumption and started to educate herself about food labels to better understand what nutrients her body needed. She seeked help from her loved ones and had them keep her accountable (positive Social Media can help people stay accountable to their goals) and motivated. Her newfound love for exercise and staying fit opened up the doors to new ventures such as hiking and rock climbing with her son. Being active and positive can truly help to create and achieve amazing goals. Passion for adventure can start at any age. Nick found his early in life. Opting for the mountains at every opportunity, Nick began to discover that the outdoors not only offered sport and excitement, but they also offered beauty and an escape from the ordinary. Climbing in the mountains brought him to El Capitan, Denali, and the north face of the Eiger in Switzerland. As he climbed up the face of mountains and skied down their backs, the opportunity to go further and to find new areas became a welcomed challenge. Risk and fear would often bring up the question “Why am I doing this?”. Perhaps it’s because of the love for the mountain and the relationship that can form between the rock and the climber or perhaps it’s so absurd that there is no reason why not to do it. To Nick “Why am I doing this?” is continually changing and evolving as his skills and desires grow. The inspirations he read in the past and that helped him on his previous journeys will likely continue to shape his future adventures. At age 21, Meyrick woke up in a San Francisco hospital bed to discover that he had lost his left leg. This wasn’t enough to stop him. He wasn’t going to let the accident hold him back from doing amazing things and living a normal life. 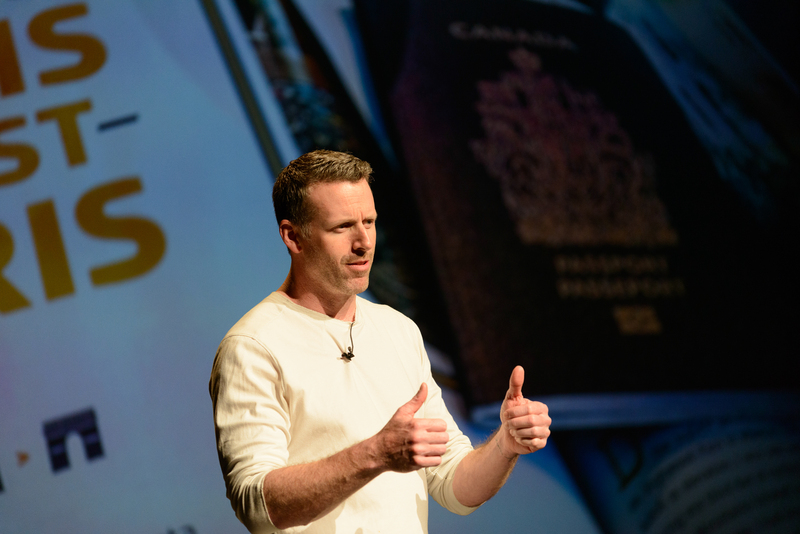 By continuously setting goals, Meyrick was determined to be back on the road to recovery so he could push his boundaries. Using his “love” for sport and “fear” of his disability, Meyrick completed his first goal of walking normally in pants after the accident to embarking on the 1230km ultra-cycling event Paris Brest Paris (PBP) to celebrate the 20th anniversary of his accident. Overcoming the big hills, the majority of the course, and Shermer’s Neck (when the neck muscles can no longer support the head), Meyrick was 225km from the finish. On his final day to Paris, “fear” which had helped heal Meyrick in the past, would become an added challenge to PBP (as if 1230km is not enough!). It became anxiety, pain, and questions. “Can I finish this?” “What am I doing here?” He began to remember what fear had meant to him in the past and how, on his final stretch into Paris, it would turn to love. From being afraid to walk in public to standing in on stage and sharing his love for adventure, fear and love were going to keep him going. Life seemed perfect. Ashley had her education, career, boyfriend, cat, car, and apartment. Quite the list! Things seemed great but then quarter life crisis was added on the list. The “happy pace” Ashley found when she was a young girl was gone and instead, Ashley found herself struggling against what to do. An opportunity to teach English in South Korea appeared and seeing the opportunity to get back on track, Ashley agreed. A week before going, Costa Rica called and proposed a year and a half contract filled with unpredictability and unknown challenges. How could Ashley say no? Throughout her experiences in Costa Rica, Ashley realized that she wanted to help people fulfill their goals. She wanted to coach people on how to find their needs and how to achieve in life. 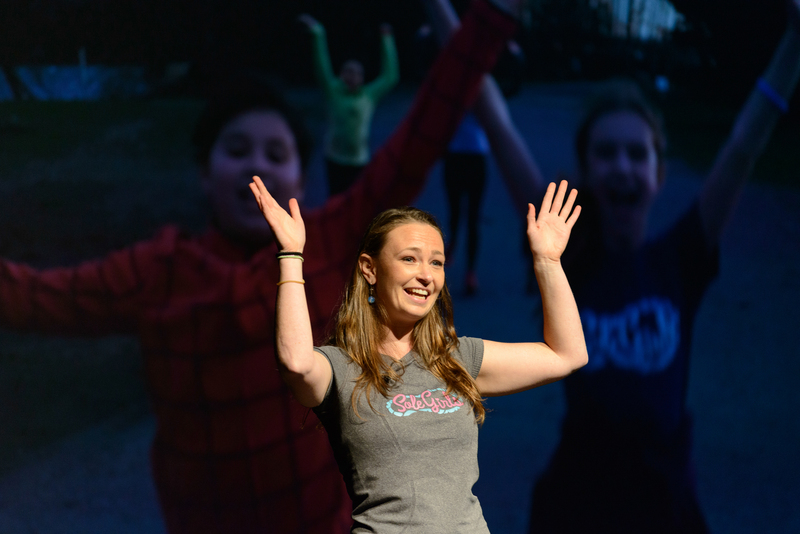 She created “Sole Girls” to help young girls find their happy pace through physical activity and mentorship. Ian started his research on the human body and the endurance athlete while having his leg reconstructed after being struck as a pedestrian in Calgary, AB. He documented the transformation from being immobile to competing an ultra-marathon. 8 months later, Ian was ready to race 125km. The completion of this run made him hungry for more. This hunger took him from studying his own body to studying the bodies of ultra-runners. Ian soon realized some of the commonalities that ultra-runners had from their physical bodies to personal behaviours. He soon realized that he was beginning to embody those similar traits. This observation would be highlighted on the ELS 2900 Alpine Run – a 70km ultra run that climbs around 7000 meters while summiting the highest 7 peaks of Andorra. Ian found himself running with people who looked, thought, and behaved like him. As a group they supported, cheered, and raced each other on from start to finish. On this trip, he was able to reflect on his own body and appreciate the experiences and pursuits it had taken him on. 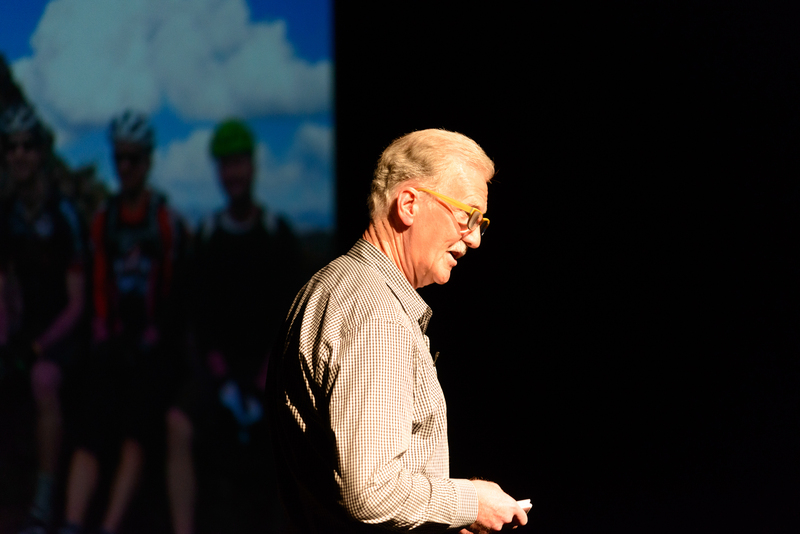 Entertaining and one of the world’s oldest adventure racer. He traded smokes for spokes, paid attention to his diet, and started to explore what was out there. Ironman was first on the list and then came the Eco Challenge – the race “that eats ironmen for breakfast”. He’s completed 7 already and keeps adding more adventure. One of his most memorable challenges was co-steering in Borneo a 10-day challenge that ran through the jungle and that ended with trench foot and a photo finish of 4 happy but smelly racers. The half-toothbrush did the best it could! Cycling 500km of the Iditarod Trail would serve as the winter activity following Borneo. Racing aside, he travels the globe with his group “the Gypsies” looking for new places and new adventures. His fitness and strength helped guide Sam Sullivan to the top of the mountains and pulled him as he carried the Olympic flame. But Bob does not seem to rest. His latest was the Stagecoach 400 – an unsupported 640km bike race from Southern California (Idyllwild) to Mexico and back. FEAT hopes Bob will never stop his adventures and will continue to push the envelope. In order to access the backcountry to snowboard, Julie had to learn the tough ways of the snowmobile. Frustrating at first, she slowly began to leave her snowboard behind, opting for the power and the challenge the snowmobile offered. She soon found herself the only female amongst males and decided it was time to share her passion with like-minded women. She founded “She Shreds” and her knowledge and expertise even led her to guide men. 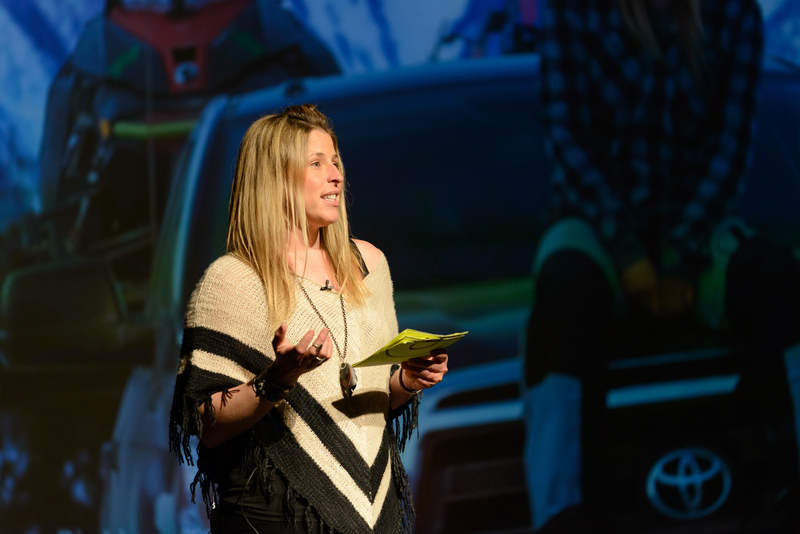 She teaches how to maneuver the snowmobile and how to be safe in the backcountry. As her clinics have grown, Julie has had the great pleasure of seeing more women shred the snow in the backcountry. Her goals and taste for adventure have led her to some of the most remote and beautiful places in the mountains. She also tries to live by a list that keeps her positive, spontaneous, happy, and adventurous. Julie has learned to stay away from routine by balancing life’s demands with a sport she loves. A bucket full for luck, an empty bucket for experience. As experience grows, luck runs out. Growing up on the North Shore, Chris spent most of his time being active. 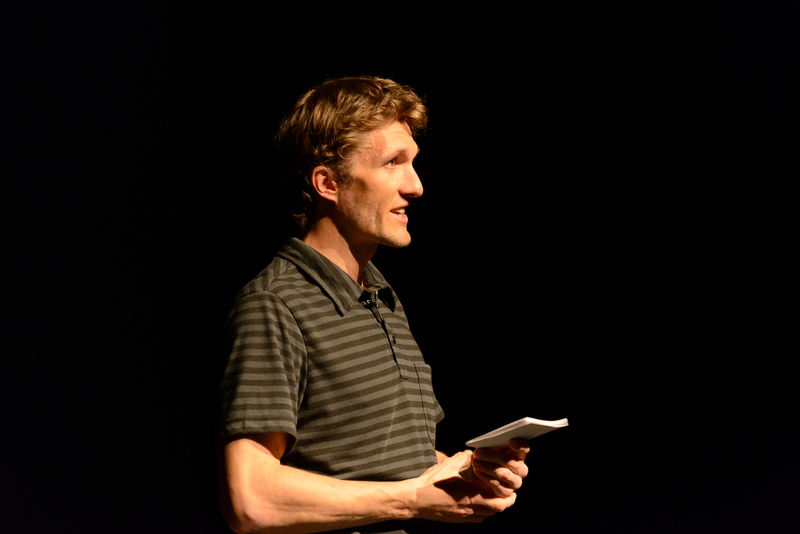 From whitewater kayaking and racing his bike in Canada and Europe, Chris would eventually hear the call of the mountains and would return to Canada to ski, climb rock and ice, and find his passion in adventure photography. He would go on some missions one could only dream of and find himself on some that would haunt his night. He would escape reality and focus on the moment. A defining moment in Chris’ adventurous life would be when he and his friends, better known as “The Big Line Hunters”, went Northwest of Pemberton seeking a new line deep in the mountains. Climbing to the ridge top, Chris is in a couloir waiting for a photo opportunity when the mountain shifts and decides to take Chris and his friend Jimmy 1800 feet back to the bottom via an avalanche. In that time, how much weight shifted from luck bucket into the experience bucket? 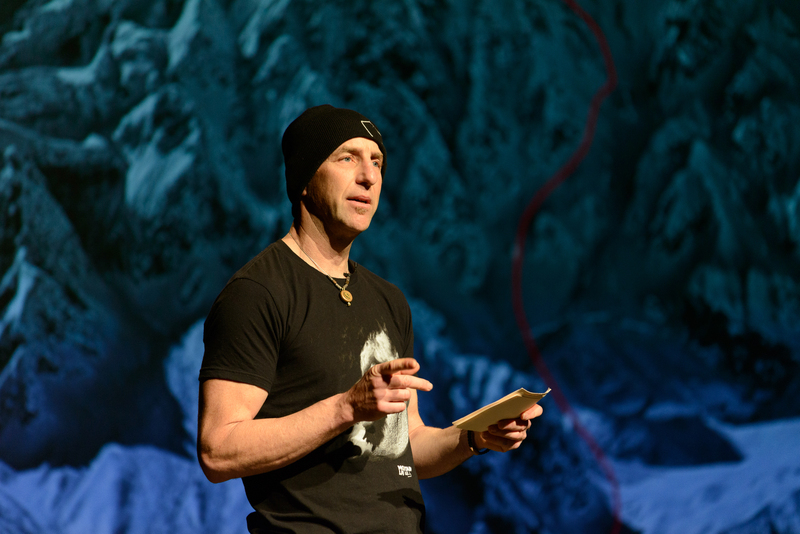 After surviving the avalanche, intuition has started to play a big role in Chris’ decision making and the internal conversations he now has on his adventures, have kept him safe while still allowing him to chase his dreams. The mountains are as humbling as they are beautiful and Chris hopes to capture the amazing moments and peace they provide.